Join the fight and help us discover the genetic basis of ALS in Malta. Start or support a local initiative to raise funds for project MinE in Malta. Project MinE, make it yours! The University of Malta’s MND/ALS Laboratory is at the forefront of research to better understand what causes MND/ALS. The Laboratory’s research programme undertakes a multidisciplinary approach to study motor neuron degeneration including genetic, cellular biology, biochemical, and animal model studies. The University of Malta hosts the Malta MND/ALS Biobank, a collection of biological samples including DNA collected from Maltese patients subject to consent. This unique repository is a valuable resource because it allows researchers to keep investigating the disease with the aim of generating new knowledge. Through participation in Project MinE, Maltese MND/ALS researchers are part of an international collaborative effort that aims for a better understanding of the genetic causes of this devastating disease. Thus far, fundraising for Project MinE in Malta was key to analyse over 20 Maltese DNA samples, an excellent start! 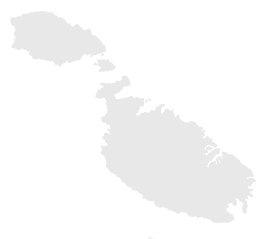 The goal for Malta is to map 100 DNA profiles. May we introduce our experts? Dr. Ruben Cauchi heads the MND/ALS Laboratory at the Centre for Molecular Medicine & Biobanking of the University of Malta. He is also a Senior Lecturer within the Faculty of Medicine & Surgery of the University of Malta. Dr. Cauchi directs the Malta MND/ALS Biobank aiming to identify novel genes linked to MND/ALS. His team also investigates the role of RNA-binding proteins in motor neuron degeneration, making use of genetic animal models. Dr. Cauchi obtained his D.Phil. from the University of Oxford, UK, working of genetic animal models of motor neuron disease and went on to do postdoctoral research at the MRC Laboratory of Molecular Biology, University of Cambridge, UK, studying RNA processing. A well-published academic, Dr. Cauchi serves as ad hoc reviewer for top-tier journals and MND/ALS funding bodies. He is also the Malta representative of the E.U. Cooperation in Science and Technology (COST) Action focusing on the clinical application of antisense-mediated exon skipping in neuromuscular disease. The fundraising for Project MinE is led by University of Malta Research Trust and ALS Malta Foundation.